it’s Stephanie here today and I want to show you some useful items to organize your family activities using Self-Laminating products from our Home and Hobby product line. I made some helpful Self-Laminating items for the magnetic family calendar board and a birthday calendar with Multi Purpose Tags. For a better overview on our family calendar I decided to use photos with the family members. Thereby we have a faster and better look, who has what dates. To make the photos more resistant I used the Self-Laminating Cards Small. 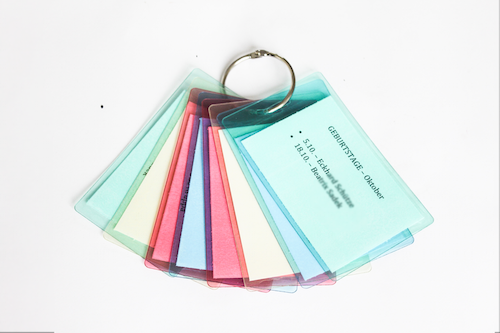 1 – You will need a scissors, punches, magnet, Self-Laminating Cards Small. 2 – Punch or cut your photos. I used several photos of our family and cut some in circles, some rectangular and some in freestyle. You can also add a color at the edges to distinguish better. 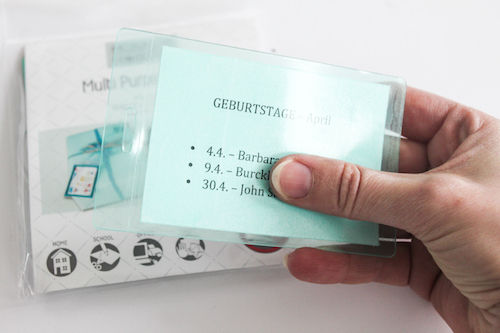 3 – I used one Self-Laminating card for two photos. Lay your photo inside the card, peel of the protective sheet and pull the adhesive sheet over it. It’s quick and easy. 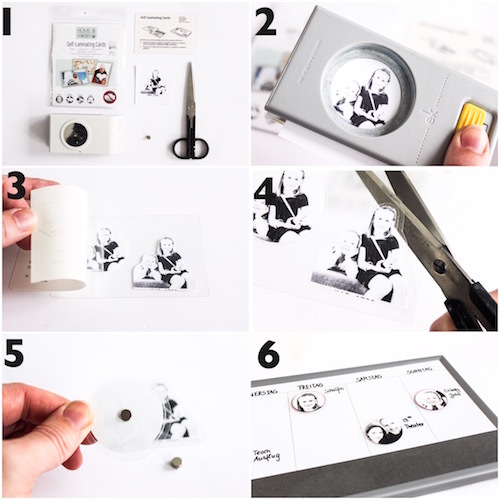 4 – Cut out your photos with a narrow edge. 5 – Adhere a Magnet. 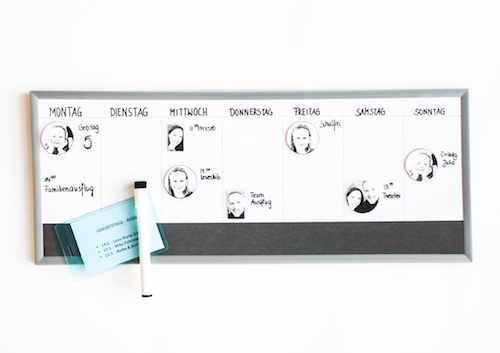 Use self-adhesive magnets or use Dodz™ in this size you need. 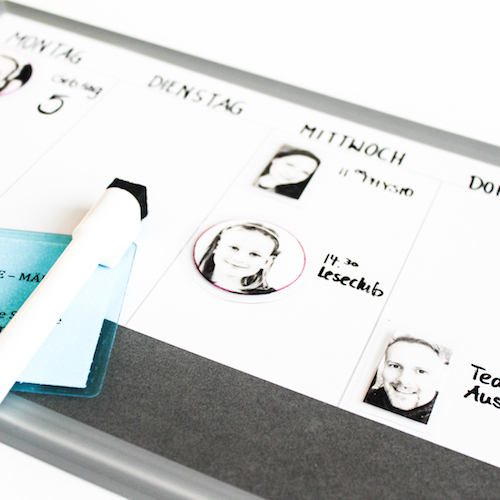 6 – Use your Photo-Magnets on your family board. I also used a Self-Laminating product to create a Birthday Calendar. By using the colorful Multi Purpose Tags with Loops I made for every month a card. I wish you a nice creative day! This entry was posted in Home Decor, HomeHobby by 3L, Self-Laminating Cards, Tutorial and tagged Birthday, Calendar, Home Decor, HomeHobby by 3L, laminating photos, Organization, Self Laminating Tags with Loop, Self-Laminating Pouch Small. Bookmark the permalink.